The above picture is from one of my ALL TIME favorite blogs Jones Design Company and is run by a fantastic gal named Emily. I ran across her blog about 2 years ago, and I have literally never been the same! 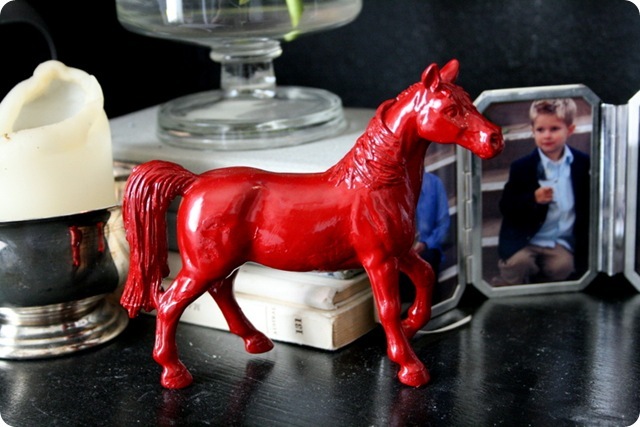 I was reading her blog one night and I came across this post about this little red horse she had found, simply spray painted red and placed on her desk for some color. It was just a discarded toy from one of her children, something so simple. Yet it was so profound for me. Look what just a little bit of red paint could do, how it could change and repurpose something. In that instant, ‘The Little Red Horse’ was born in my mind and I have been looking for my next project ever since. I have the most amazing friends in the world. They believe in me, and they tell me ALL THE TIME! Who could be so lucky! My friend Mica gave me a gift for my birthday (pictured below) with a simple note just telling me that I inspire her – can you get any more encouraging than that? 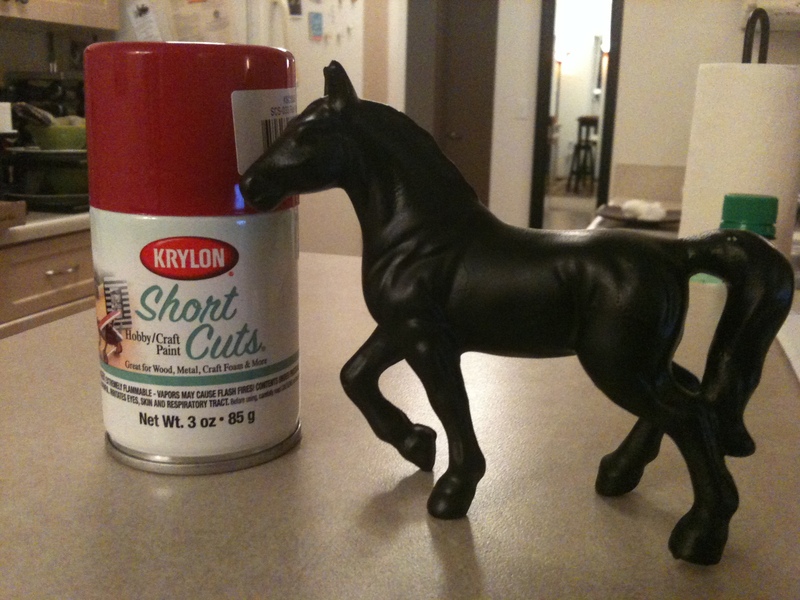 So, to me, The Little Red Horse is a blog about doing what inspires you in life. Taking what you find (sometimes total junk!) and making it into something beautiful! I love feedback, I love to hear from you, and I love to share ideas!! Lets inspire each other!